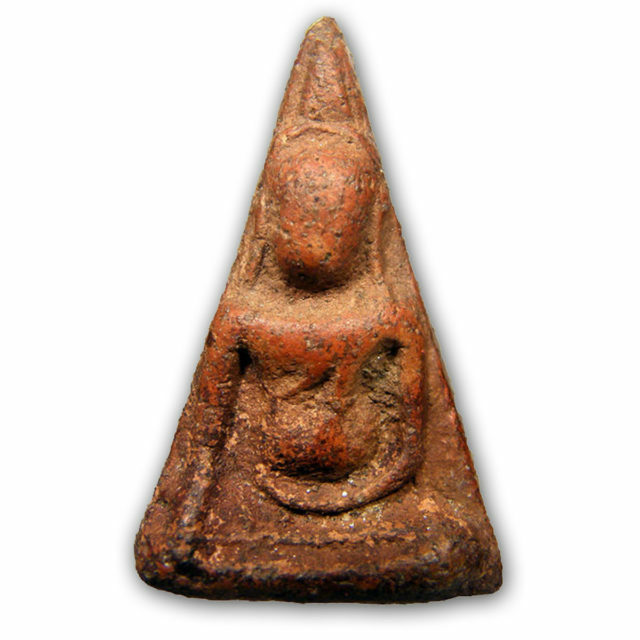 Pra Nang Paya, or ‘Pra Pim Nang Paya, is an amulet from the Ayuttaya Period, which was artistically influenced in its design factors by the Artisans of the Sukhothai Periodic Style. 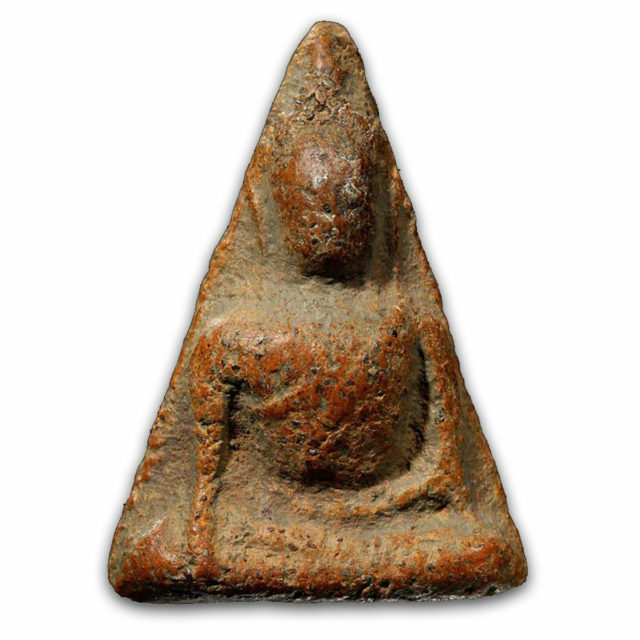 As to the composition of the design of the Pra Nang Paya amulet, it can be said that it contains the work of the Sukhothai Artisan as its heritage, and is a Mark of Preservation of the Eight Periodic Buddhist Art styles found in Thai Sacred Arts and Amulets. 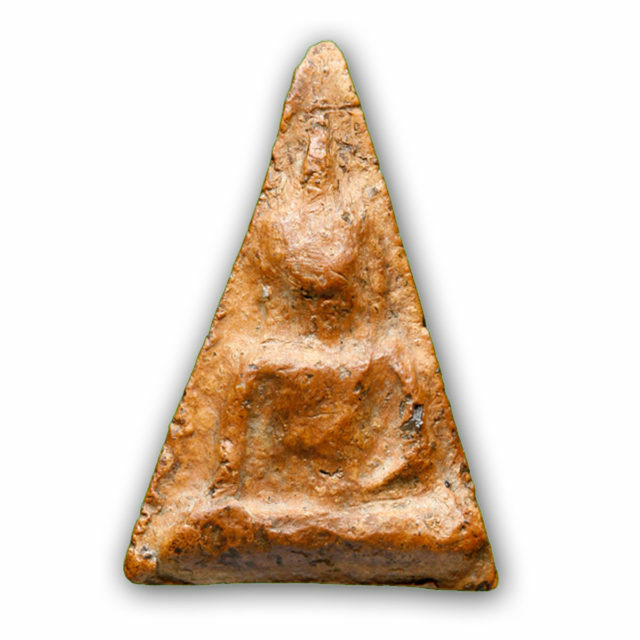 The Pra Nang Paya amulet was first discovered within the Chedi Stupa at Wat Nang Paya in Pitsanuloke, in the year 2444 BE, as King Julalongkorn Rama 5 was visiting Pitsanuloke, to be present for the casting of the Chinarat Replica Buddha at Wat Pra Sri Radtana Sasadaram. The King was invited to come and receive a large number of them as gifts (the best selected), and his Majesty then distributed them to the Government Officials and other Courtiers and Devotees. 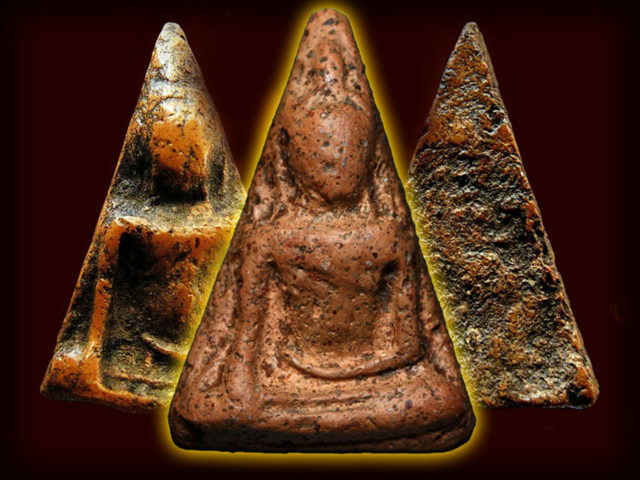 The remaining amulets, he took back to Bangkok. 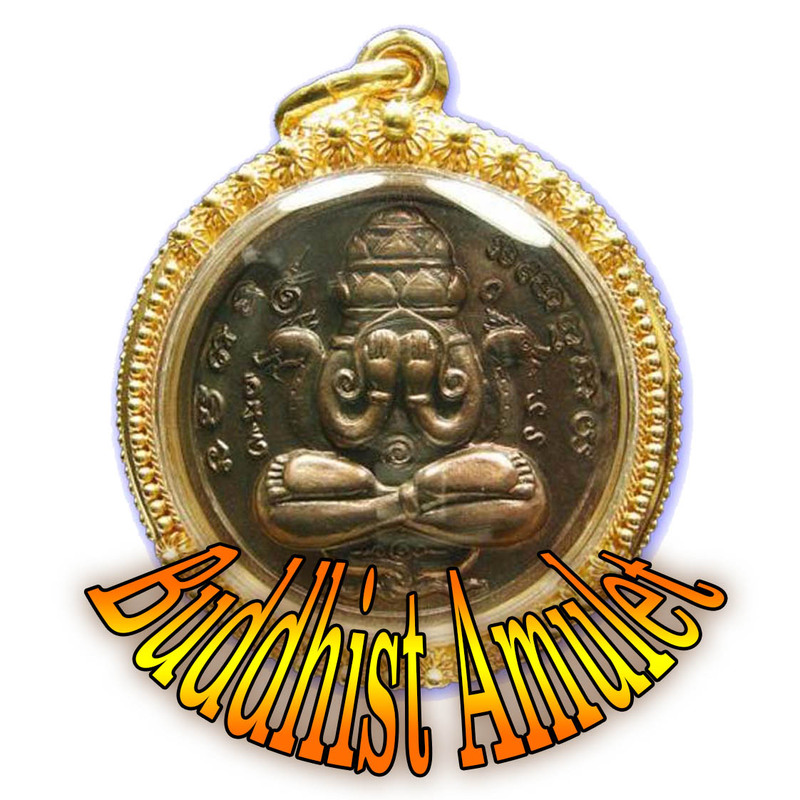 Apart from the ‘Serm Duang’ Horoscope Improving effects of this Purely Buddhist Amulet, the amulet is Famous for its Metta Mahaniyom, Klaew Klaad, Kong Grapan Chadtri, and Maha Lap powers. 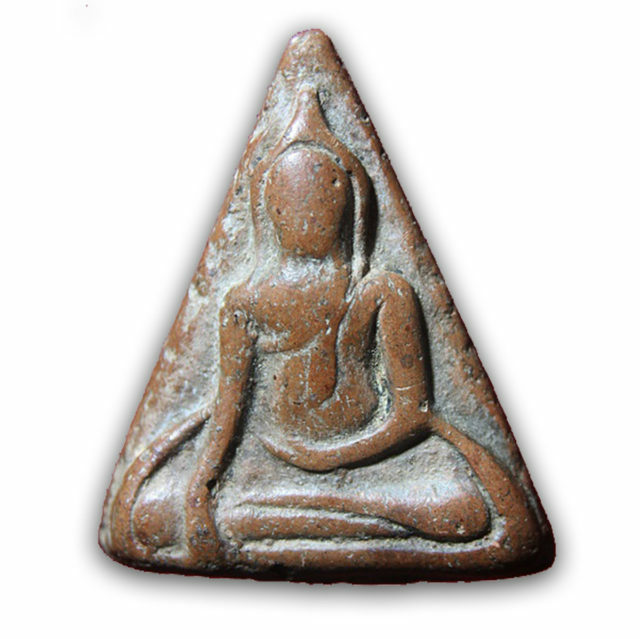 The Pra Nang Paya Benjapakee amulet has 7 different Pim in total. 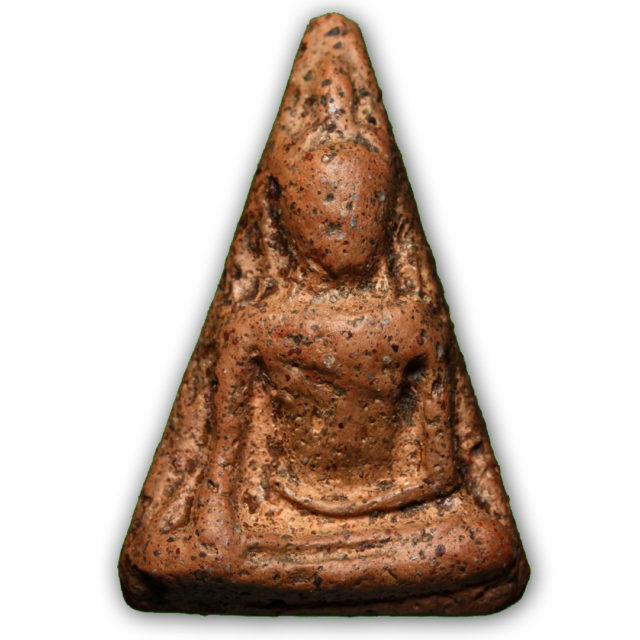 Pra Nang Paya Pim Khao Koeng. 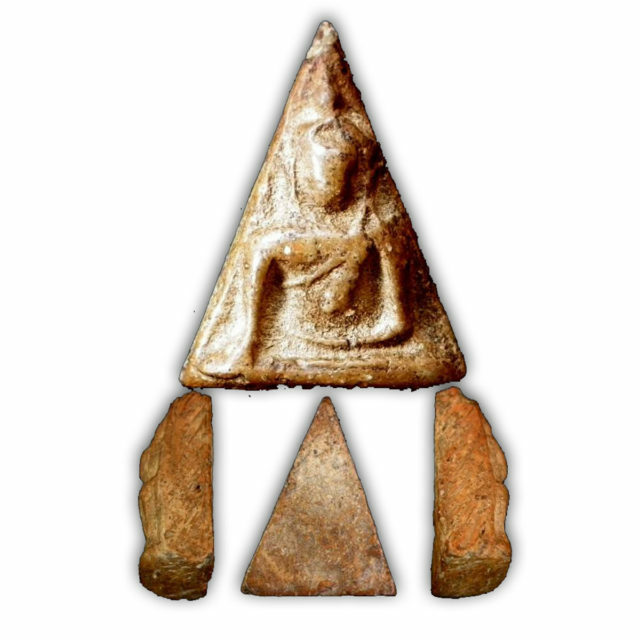 (splits into two models; Khao Koeng Tammada, and Khao Koeng Mer Dtok Khaa). Pra Nang Paya Pim Ok Noon Lek. Pra Nang Paya Pim Sangkati. Pra Nang Paya Pim Ok Faeb also called ‘Pim Taewada’. 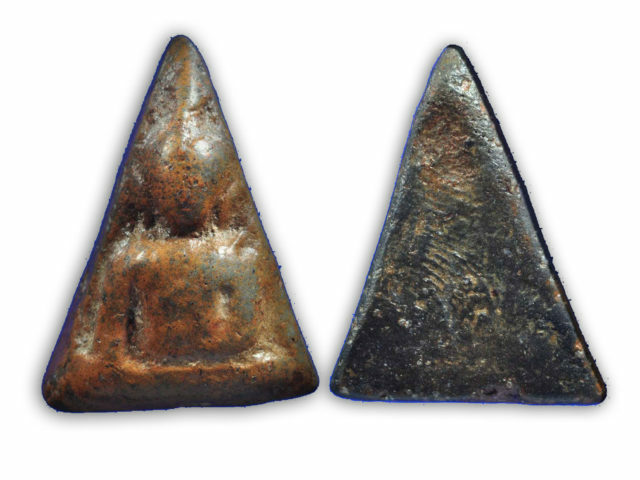 (includes various amulets which do not fit in the above categories, such as the Khao Buang, or the Pim Yai Pised).